Camp for €20,- a night at Bauernhof-Camping Wyler in low season with CampingCard ACSI. 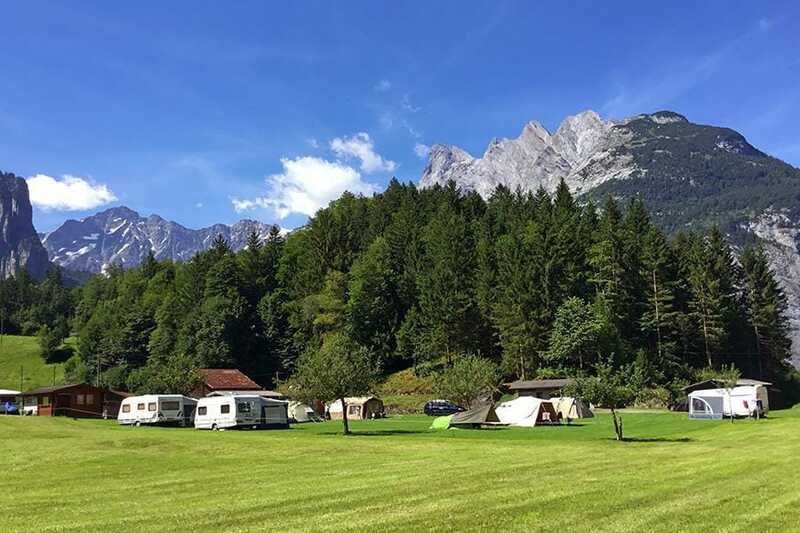 Bauernhof-Camping Wyler, located in Innertkirchen (Bern), is a campsite with 30 touring pitches and 7 year round pitches. With your CampingCard ACSI you can camp on one of the pitches during the following periods: 01-05-2019 - 30-06-2019 and 01-09-2019 - 30-09-2019. At this campsite you can not only use your CampingCard ACSI for inexpensive camping, you can also use your ACSI Club ID (as an alternative ID). A farmhouse campsite with a young friendly owner, who is a true farmer. Beautiful location among mountain peaks. Farm products on sale. Well positioned for the Sustenpas and for many walks in the surrounding area. Centrally located for various trips out. Would you like to book Bauernhof-Camping Wyler or request more information? You can do both using the information below. Campsite located at the foot of the Sustenpas, 2 km from Innertkirchen on the right of the road. CampingCard ACSI will send your information request to "Bauernhof-Camping Wyler".